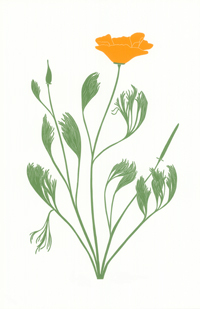 Eschscholzia californica. The linocut was made from a drawing done at the Jasper Ridge Biological Preserve on 20 April 1975. 340 copies were printed on 10 x 13 inch Basingwerk paper and sell for $300.00 each. Eschscholzia californica. 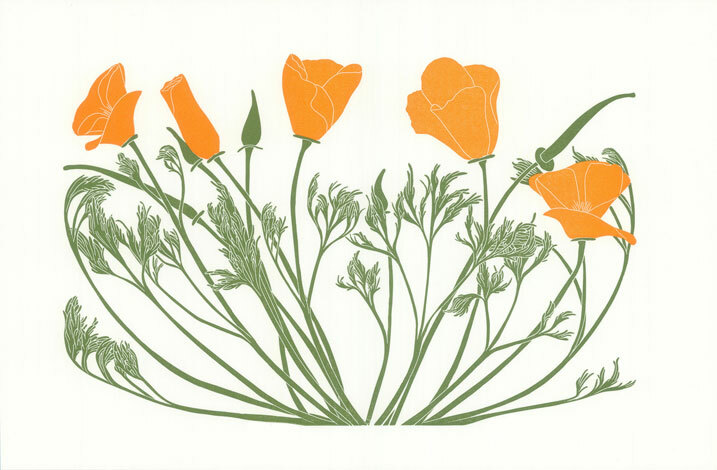 The linocut was made from a drawing done at the Jasper Ridge Biological Preserve on 20 April 1975. 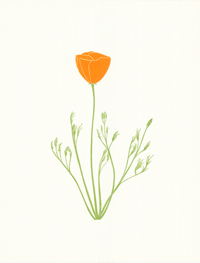 The two small poppy prints were conceived as a pair of prints but either one of them can be used alone. 345 copies were printed on 10 x 13 inch Basingwerk paper and sell for $300.00 each. Eschscholzia californica. 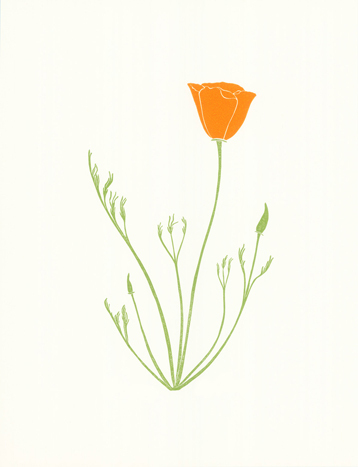 Drawn at home in the Napa Valley on 5 May 1981. 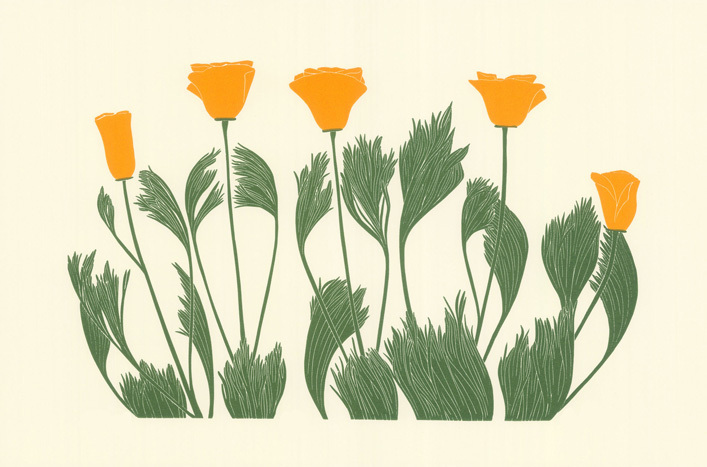 325 copies were printed on Basingwerk paper and sell for $400.00 each. 320 copies were printed on Simpson paper and sell for $400.00 each. 425 copies were printed and sell for $500.00 each.